Military-technical collaboration between India and Russia has been most productive in building India’s strategic naval capabilities. While India has a variety of defence partners, only Russia has provided it with a strategic, nuclear depth and dimension. If we compare the three areas where there is military-technical cooperation between Russia and India; for the Army, the Air Force, and Naval requirements; the Navy’s is distinguished from the first two by its strategic character. It is quite clear that the cooperation began to take on this character during the Cold War years. As early as the 1970s, India initiated a project to build strategic nuclear submarines. It was divided into three parts: reactor development, body design, and building nuclear warheads to place on submarine-launched ballistic missiles (SLBM) fitted on nuclear submarines. The official launch of the Indian project to build nuclear submarines, also known as Advanced Technology Vessels (ATVs), however, happened only in 2009, when the dry dock in which the submarine had been built was filled with water; the submarine was called Arihant. Starting in 2012 and continuing through the present, this submarine has been undergoing a number of sea-trials. It may enter into service of the Indian Navy in 2016. Soviet engineers were able to participate in the R&D for building the Indian nuclear-powered submarine insofar as they were engaged in the construction of the dockyard in Visakhapatnam (Vizag). 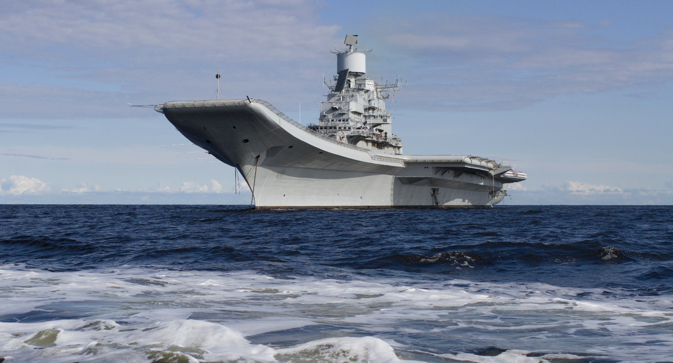 The Arihant was, to all appearances, among the first projects within the framework of which cooperation between Russia and India began in development and production not only of weapons for India’s Navy but also for India’s strategic system in general. Russia and India are continuing to cooperate in the construction of this project’s next submarines. The laying of the second submarine, called Aridhaman, happened in 2011. The new sub may be launched into the water in 2015. The construction of two more submarines is underway (six are planned in all). The knowledge that India gained by leasing of the Russian multi-purpose Project 971 Shchuka-B K-152 nuclear submarine ‘Shchuka-B’ (Chakra), which entered into service of the Indian Navy in 2012, plays a key role in their obtaining experience for the nuclear submarine fleet. Personnel are being trained on it who will serve on submarines of Indian manufacture in the future. This is the second submarine that India has leased from Russia. The first was the Project 670 Shchuka-B Skat K-43 submarine, and it was also called “Chakra” in the Indian Navy. It was leased in 1988-1991. It became known in late 2014 that Russia and India were negotiating the lease of a second K-322 Kashalot nuclear submarine of Project 971 Shchuka-B, which was in the Pacific Fleet in 1989-2003. After an upgrade at the Amur Shipyard, it may be transferred to India in 2018.